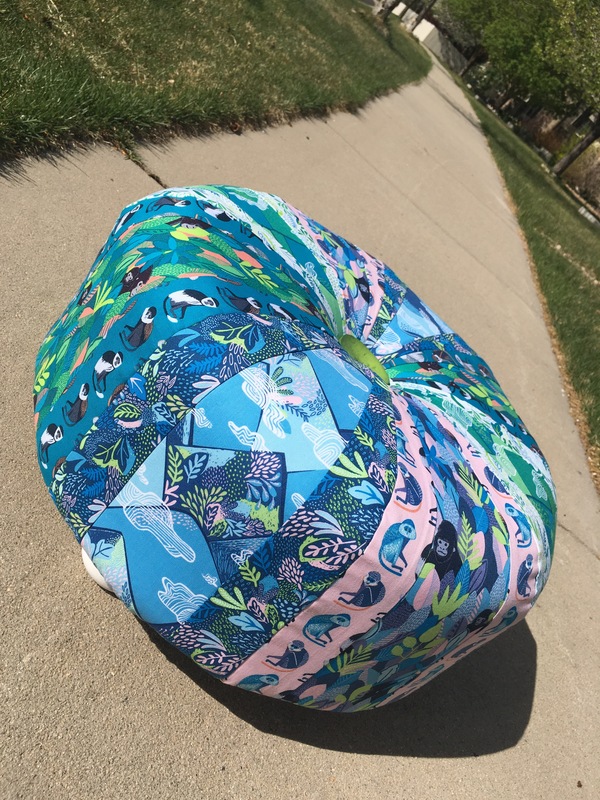 I made a tuffet last year from scratch just from looking at posts online…it turned out ok…cute in pictures; (and the fabric line was utterly adorable, perfect, I thought, for a tuffet “Wonderland” from Blend Fabrics) but when you are asked to make another two for display at a huge convention in St. Louis that will potentially be seen by hundreds or thousands of people…well, my little “from scratch tuffet” just doesn’t cut it. I was extremely nervous….and when I’m nervous, I procrastinate! Then, once the time crunch set in…so did my wheels…and I must say, I was quite pleased with the outcome! If you have any experience sewing, you can most likely make a tuffet. 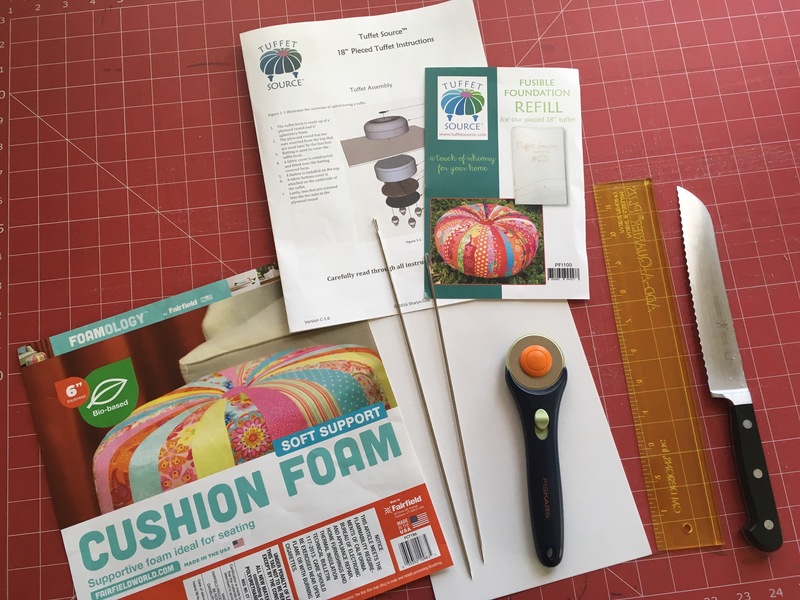 You just need the right tools to do the job…and this starts with a printed interfacing likely found at your local quilt shop by a company called Tuffet Source. They’re about $18 ea, $28 with the full pattern, which is what I needed and bought. At first I was gobsmacked at the price, but once I opened it and found out it was the crib sheet of tuffets, I was pumped to get sewing! 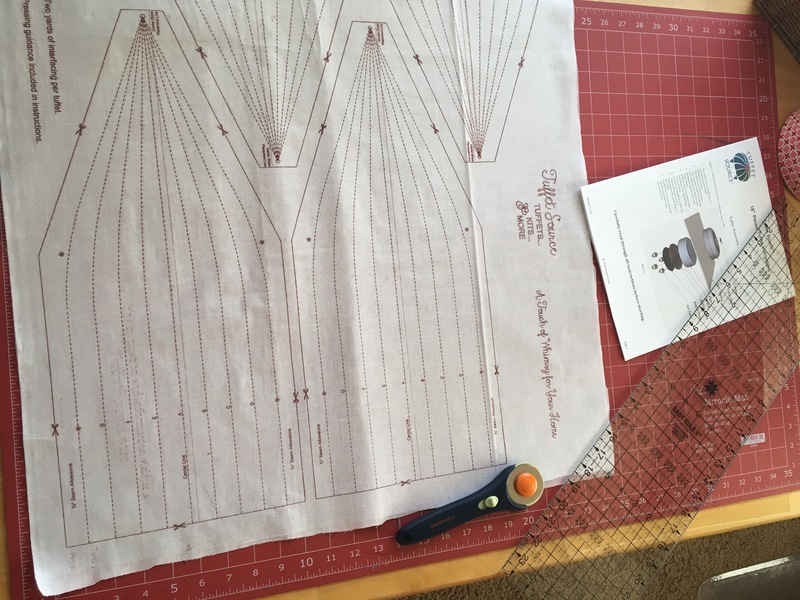 Directions were easy enough to follow, although don’t make the mistake I did and sew your pretty fabric strips on the last rows of the interfacing….long story….but I guess I had so much fun sewing I neglected to read the small print where it marked the 3/4″ seams! 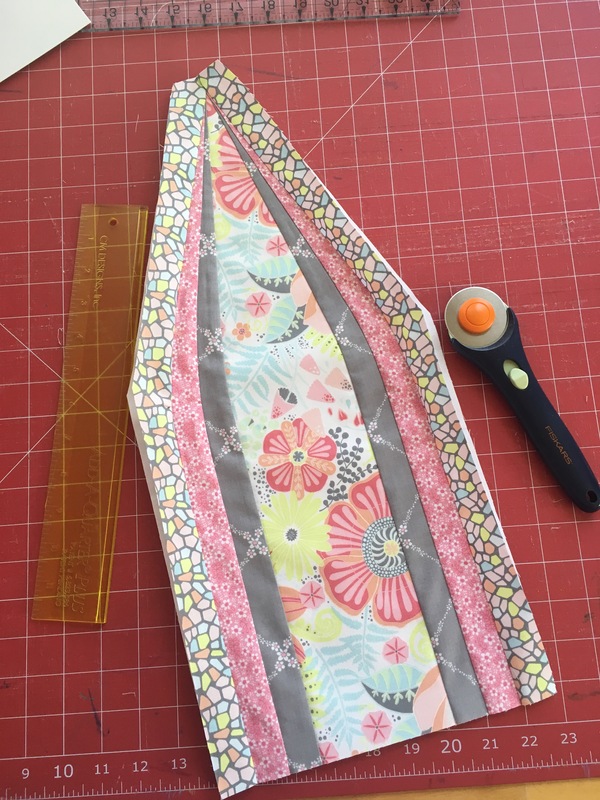 Really have fun with your fabric placement…. 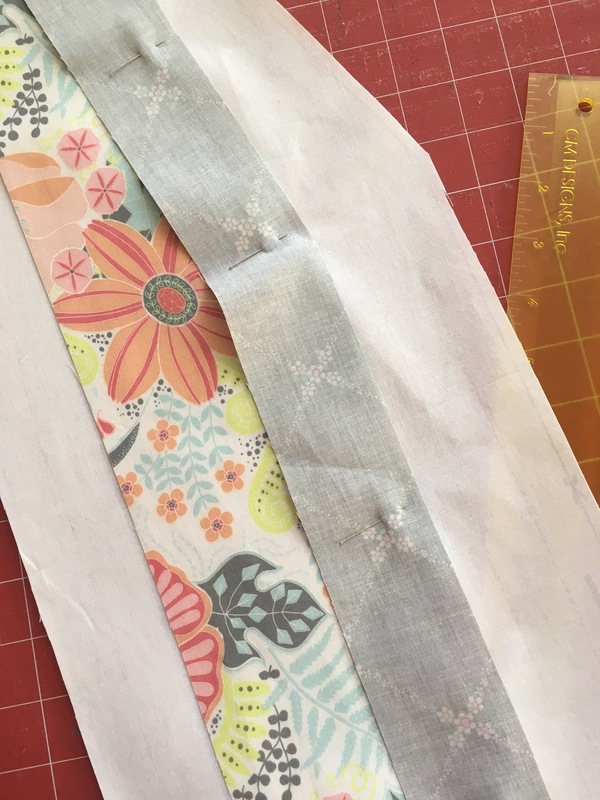 You can also play with the width of the fabric strips on the interfacing. A lot of tuffets online had each strip a different fabric. I personally liked to see more of the prints and so I used bigger pieces. 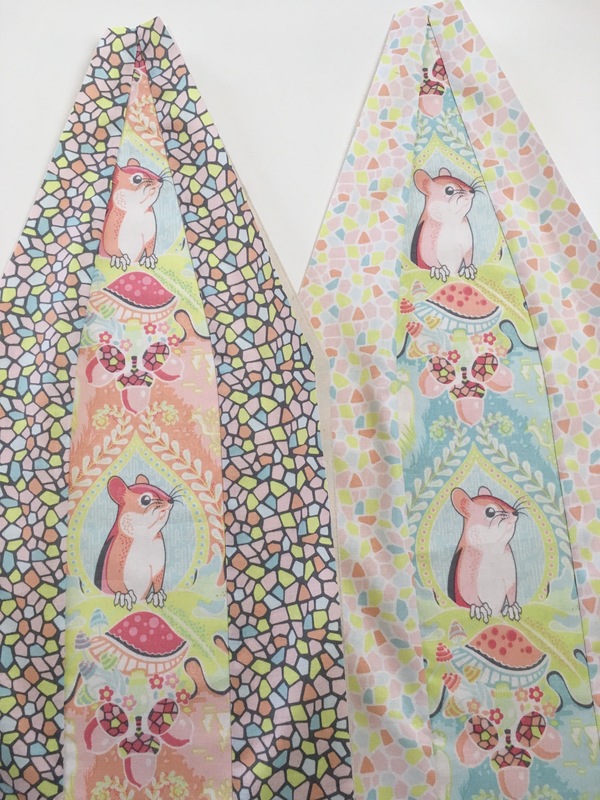 I especially loved the chipmunks in this line called “Haven” by Stacy J Peterson over at Blend Fabrics! 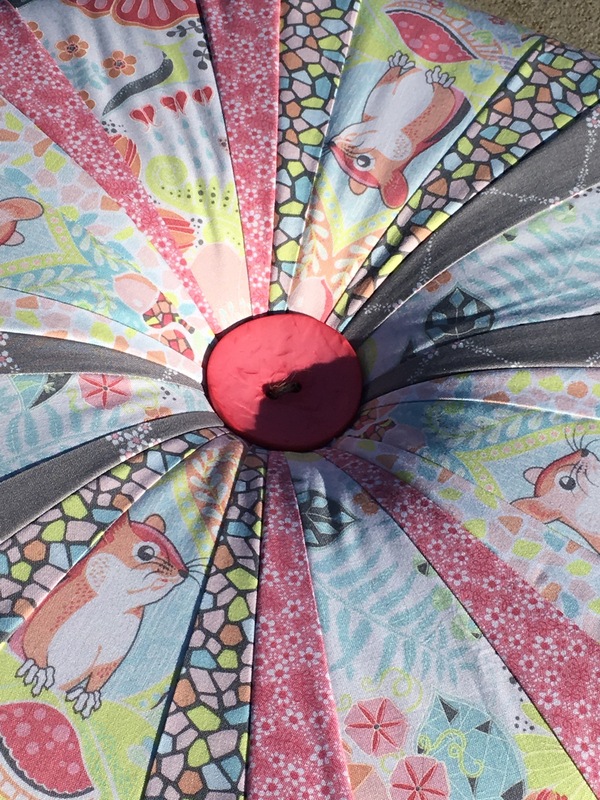 It is such a whimsical line…just adorable!! 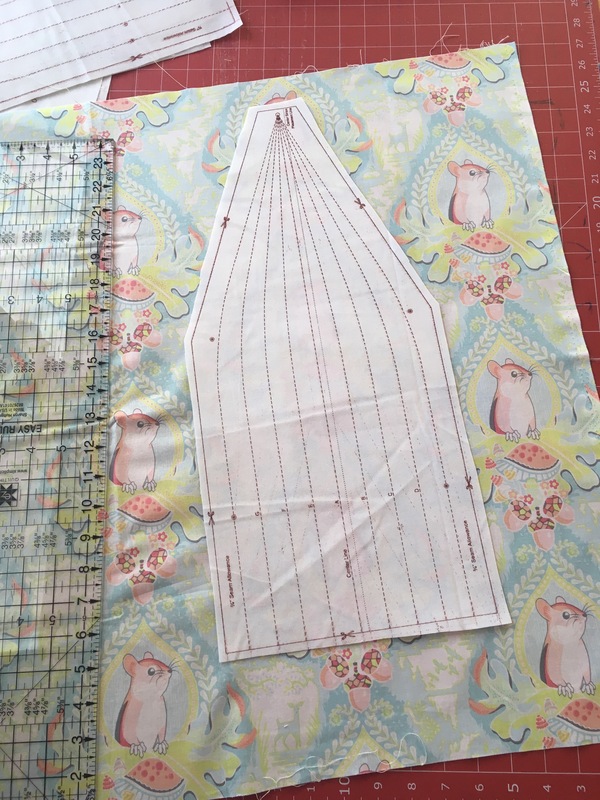 And because the chipmunks were bigger, I took up four strip widths on the interfacing panels. 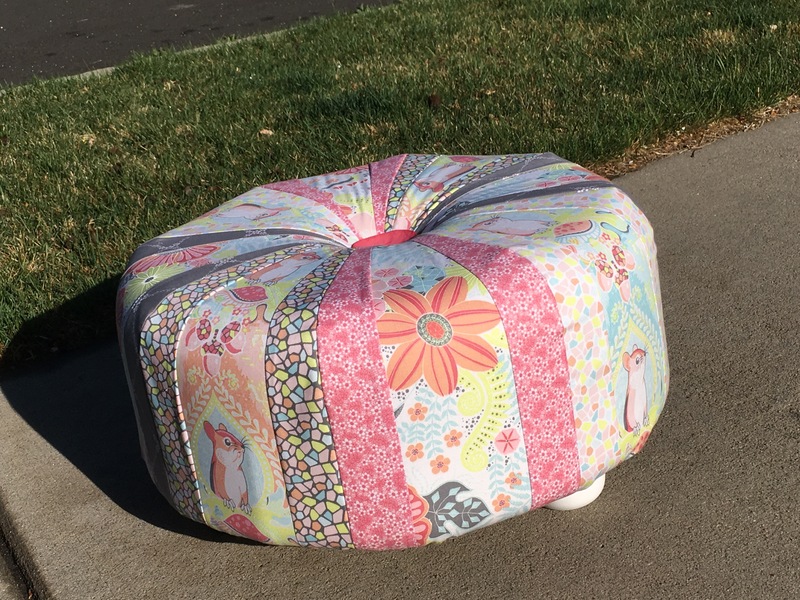 Once you’ve followed the directions for sewing, keep going for the rest of the tuffet. This is where you may need some help in the garage if you’re not handy with the tools. You’ll need your large round 18″ X 6″ foam insert, batting, a wooden base, three or four wooden feet, metal plates or something similar to attach feet, upholstery needles, twine and a big button…not to mention your wood working tools…such as a staple gun, hammer and a drill! 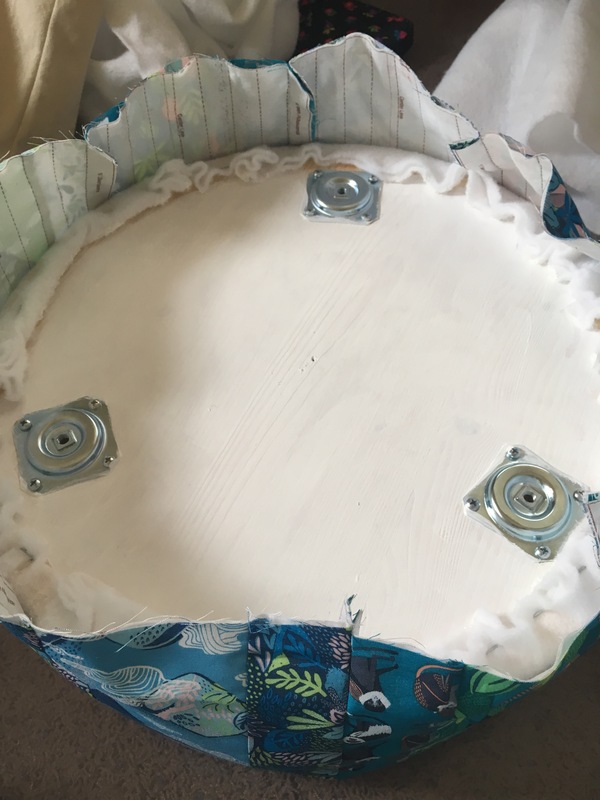 I also painted the base of my tuffet vs covering with fabric and painted my feet to match! I’m not going to cover the entire process of making it…but I will say, be careful…this could become addictive!! After making two, I’m itching to make more…and will be…for Blend Fabrics…so check my IG page (travelingcharlie79) or Blend Fabrics on IG! 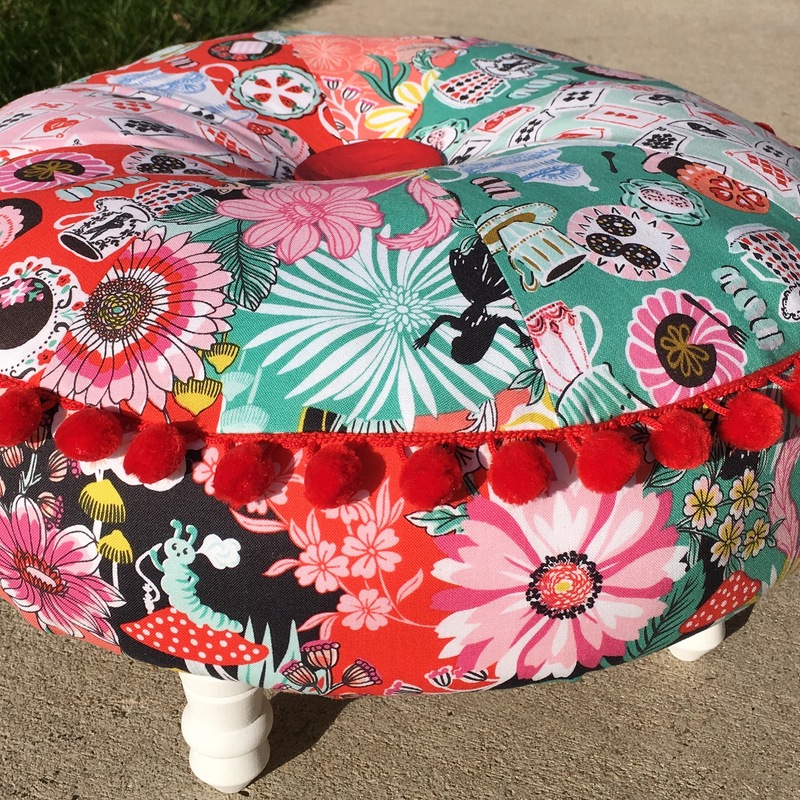 The second tuffet was in a beautiful rich fabric from artist Katy Tanis called Bwindi Forest…also from Blend Fabrics! 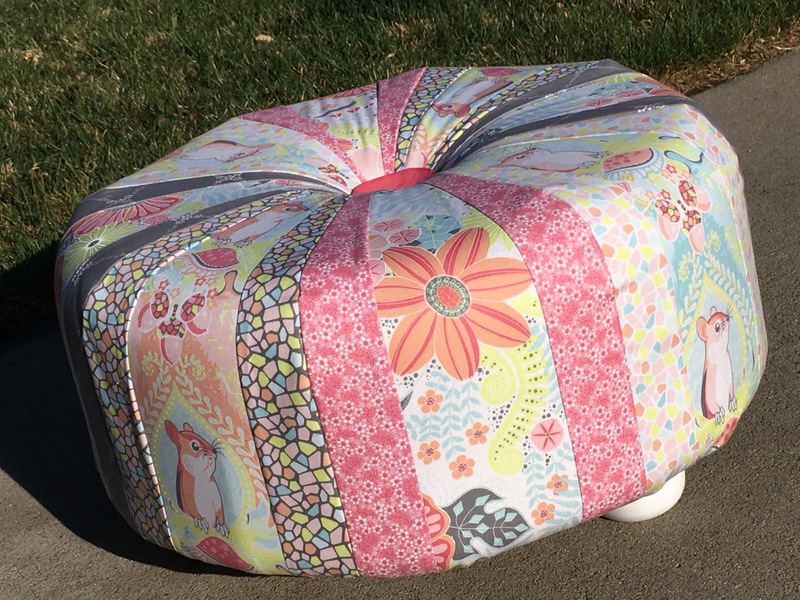 Oh my gosh…it was very hard for me and my daughters to pack these up and ship them out…such beautiful stools! I guarantee you you won’t be upset you made one!!! They bring such a smile to your face…as well as any child!